(Anika Ramos | Trojan Times) The JV Boy’s Baseball team finished the season with a record of 12-0, improving on last season’s record of 11-0. 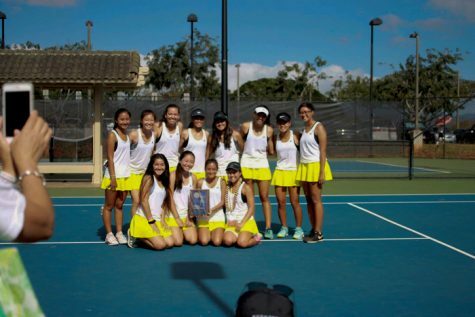 In addition to winning the OIA Championships, these Trojans were first in the western seed this year. On Jan. 23, the MHS Boys Junior Varsity (JV) baseball team won the Oahu Interscholastic Association (OIA) championships against Kaiser High School following an undefeated season. The game, held at MHS’ baseball field, finished with a final score of 10-0. Despite the season being over, the team has plans to continue their training in preparation for varsity tryouts next year. “We went undefeated until the championship game and lost (last year’s) championship game. Then this year we knew we had to stay focused and worked harder. 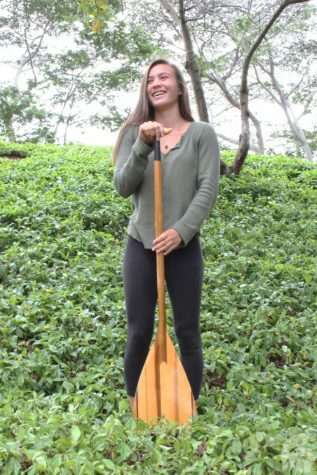 We had unfinished business,” stated third base Sophomore Brannt Ibara. 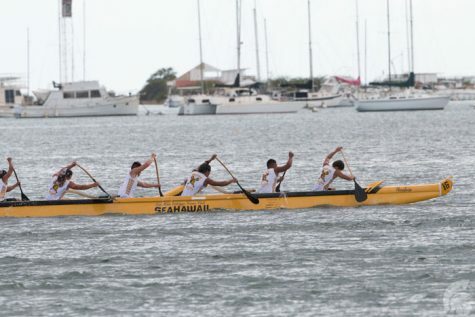 This was the first time any member on the current team had experienced a win at OIA’s. “(The most exciting part) wasn’t winning. What was the most exciting part of the game? 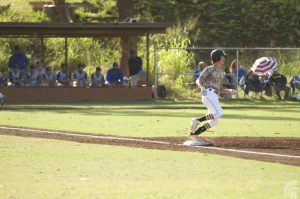 It wasn’t winning because it was slow at first,” said pitcher Sophomore Micah Kaohu. “The game was close until (the) fifth inning. And once we hit eight runs we relaxed a little bit. And one more hit and it was game over. 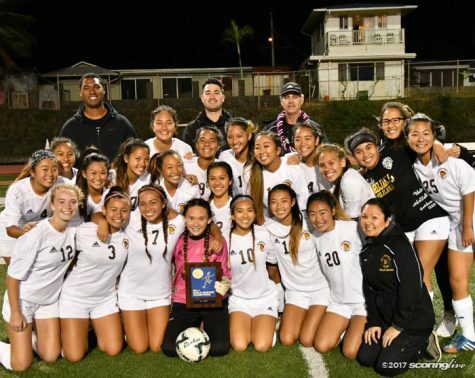 The most exciting part of the game was winning because all of our hard work paid off, and we knew we had more work to do for varsity, when it matters most,” added Ibara. While the first part of the game may have been slow scoring-wise, the crowd voiced their support at every opportunity. “It was very intense, there were a lot of people. It was pretty rowdy,” stated Ibara. 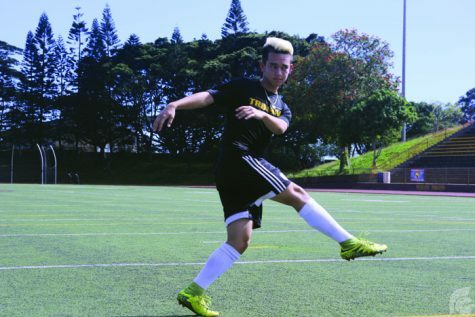 “Every time we did something good they got loud,” said Kaohu. 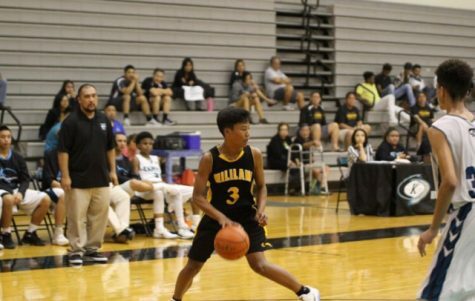 Throughout the season, the JV boys concentrated their efforts on staying focused during every game and molding their new freshmen player to do the same, wanting this year to end stronger than last. “We’re working on staying focused, last year we stopped so this year we’d like to finish what we started,” explained Ibara. “Kind of going off what he said, (we worked on) the leadership and how the freshmen need to take our roles next year. 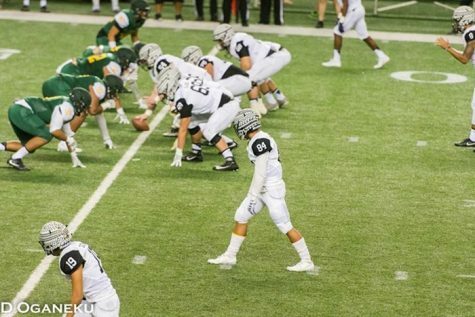 They have to fill in our spots and make our team like it was this year,” elaborated Kaohu. 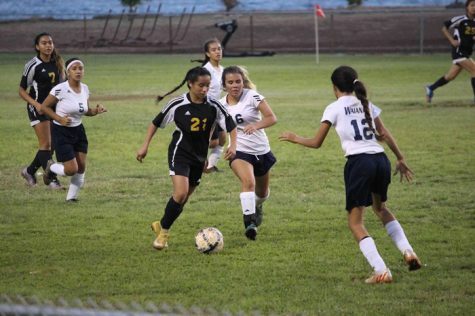 While tryouts for the team are moderately selective, there are a few aspects these Trojans feel go into making a strong team. “You’ve got to be hardworking, respectful, you’ve got to have passion for the game and your grades have got to be good too,” stated Ibara. 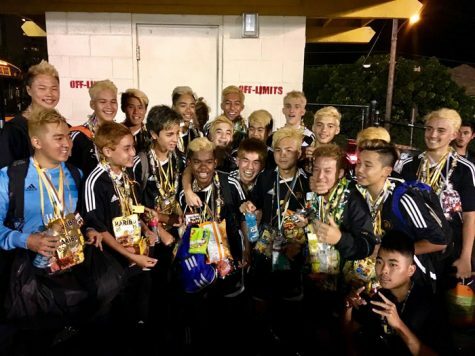 In addition to winning OIA’s, many of the boys have individual goals that they are working to achieve. “(My goal is) balancing my time between my grades and baseball. Last year I struggled. But this year I’m doing alright. 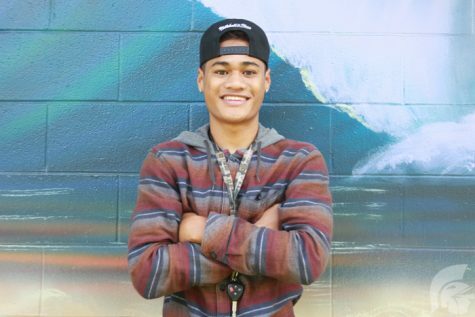 After practice I would stay a little bit longer and I would fool around but now I go straight home and do my homework,” said Kaohu. Even after playing an undefeated season, the JV boy’s baseball team is continuing to hold regular practice in preparation for the transition of the sophomores to try out for the varsity boy’s baseball team next year.